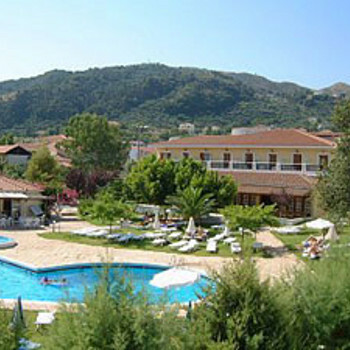 The Palmyra Hotel is a 3 star hotel located in Argassi, Zante. Facilities in the hotel include pool with childrens area and playground, bar and restaurant. The Hotel Palmyra in Argassi is central and very clean, but it has an unhelpful attitude to guests.